This degree program is designed to help you obtain the knowledge and skills to work in the field as a Sound Healer, Sound Therapist or Sound Bath performer. It is designed to learn how to help others as an occupation. Adding on to the knowledge and skills learned in the Certificate program, it is designed to help you become a Master in the use of Sound in session. You learn about different frameworks of consciousness and how to utilize this information in a session. Students will learn how to perform research projects on sound healing techniques. The classes help students learn conceptual and experiential maps for balancing use of reason and intuition when working in a healing session. • Work as a Sound Healer or Practitioner in the field. • Assess a person to see what type of sound treatment they might need. • Perform a sound healing session for a group of people. • Perform workshops on Sound Healing. • Students will also obtain the following Learning Objectives. Develop a deeper understanding of how vibration is the basis for everything in the Universe, and learn how to work with the laws of physics that govern vibration to create a positive change within a person and the world. Understand the inherent structure of sound, tonalities, music and intention in relation to states of optimum health and processes of healing physically, mentally, emotionally and spiritually. Acquire the ability to use sound, tonalities, music and intention for health and healing physically, mentally, emotionally and spiritually. Gain the understanding and practical techniques to use sound, tonalities, music and intention to access higher states of consciousness consistently. Gain the understanding and practical techniques to use other vibrational modalities such as geometry and color, to catalyze health, sound healing and to access higher states of consciousness. Understand how sound, music and rhythm affect the brain and how to use this information to create consistent brainwave activity and full-brain synchronization. Understand the importance of holding a consistent intention and gain the ability to do so. Acquire the ability to perform a sound healing session with the voice. Gain the ability to perform a sound healing session with tuning forks. Learn how to develop intake questions, treatment plans and homework assignments for potential clients. Become proficient in the use of basic computer programs to advance a career in Sound Healing and Therapy. Develop skills to be able to search for and obtain work in the field. Acquire the ability to create a physical space that is conducive to sound healing treatments. Increase awareness about the effects of the physical environment on human behavior, attitude and sense of place. Develop an understanding of how sound can be used to help address a wide range of psychological issues and learn how to create safe and effective treatments for each. Understand the anatomy and physiology of resilience, stress and trauma and how these principles apply to health and disease states. Deepen the understanding of the relationship of musical components and techniques to subjective mental, emotional, and spiritual experiences. Gain an understanding of the different types of research projects and how to conduct such research projects. Understand how trauma lives in the body and how sound and singing can be used to heal trauma, both individually and collectively. To get the Degree you must complete 60 Credits (1011 Hours). You must also complete each course with a “C” average. Attendance must be at 90% or better and no outstanding fees. You must also purchase 2 tuning forks ($60 each). There is a final exam at the end for each course. You must also complete a 85 hour Externship. Classes start every September, January, and June. The schedule requires three nights per week with some weekends. Weeknight classes are 6:30-9:30 PM. Weekends are 10-1 and 2:30-5:30PM. CLICK HERE to see the Certificate Program for start times. Classes are limited to 25 people, so classes are small enough to address specific questions and concerns of each student. This class continues exploring the full perspective of everything going on in the field of Sound Healing and Sound Therapy. Students are introduced to how to do sessions in the Sound Therapy Center on clients that we bring in for healing sessions. Students also learn about more frameworks for the explanation of consciousness, and how sound, music and energy can be used within those systems for healing and expansion of consciousness and awareness including the Ancient Wisdom teachings of Alice Bailey and various archetypal frequencies of the universe. Students develop ideal treatment plans for people with various types of emotional and physical issues including depression, fear and anxiety. This class provides students with the necessary business skills to successfully run or expand your sound healing practice. It also provides tools for overcoming emotional blocks with having a successful business. In addition, the course helps students learn how to incorporate guided imagery in a sound healing practice. The class continues with the use of sound as a personal tool for your own creative development. We go further into exploring your sound landscape and consciousness with the voice and other sound healing instruments. Class includes work on the pineal gland and our shadow and sub personalities. We also practice distance healing on others — projecting our intentions. We also do sound work at the cellular level. Learn the structure of music from a holonic perspective that covers the full perspective of vibration from atoms to music. Apply the holonic structure perspective to familiar and unfamiliar pieces of music. Increase listening (discerning) abilities of musical components. Explore song form concepts. Begin developing simple musical experiences (pieces, songs, or activities) from a holonic perspective. The objective of this class is to further the education of the students, giving more usable sound techniques that they can take out into their own practices. In this second semester, we start learning about the sound work of Joseph Rael, a Ute Tiwa Indian. We start learning about “The Tao” and techniques from the Chinese system of sound work. We also learn how the ancient chants of India correspond with the sacred geometry forms called Yantras. The students are expected to practice some of the techniques that we learn from each class. 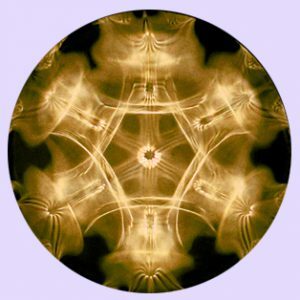 This class continues with the exploration of the connections between sound and healing from an esoteric perspective with an eye toward the current scientific research being conducted in this field. We continue exploring the understanding of the interconnectedness of the multidimensional levels of sound, vibration, music, color, light and consciousness. Steven Fisdel is one the top scholars in the world on the Kaballah and the Tree of Life. Steven takes the students through the incredible width and depth of the ancient teachings of the Kaballah in relation to the structure of consciousness, and how sound and color enliven each of the components of the Tree of Life. He also explains the relationships of all the “Sefirot” of the Tree of Life in terms of musical flow and as a way of understanding how healing happens. Gain a full perspective on how to use tuning forks on and around the body for healing and consciousness expansion purposes. The class will study the different systems and techniques from the leaders in the field: Randy Masters and Hans Cousto. We will discuss how to use tuning forks on the etheric body for “field clearing,” and on the physical body for spiritually proactive work. We will demonstrate all the different types of sets and students will get to practice with the wide array of tuning forks from our store. This course provides a basic introduction into to the vast 3000+ year old medical system of Chinese Medicine, including an overview of the theory of Chinese Medicine. The objective of the course is to give students an understanding of the functions, locations and pathways of the 12 regular meridians and the 8 extraordinary meridians. All of the points that have been picked for study can be stimulated with tuning forks, vibration or simple acupressure techniques. If used properly they can enhance your treatments, target particular health issues or aid in helping the body to remain in balance. This course is about how to evaluate a client in a sound healing session. The class covers different frameworks for understanding the state of a client – physically, mentally and emotionally. The class prepares you for the real world, and the real business of conducting therapeutic sessions. This course will help you take all you have learned and pack it into a treatment session that you can deliver to a client. An effective treatment for a client requires more than information or skills. It requires an organized approach to understand the client’s needs, to deliver a therapeutic treatment, and to assess if the treatment supported the client over time. The course covers practitioner preparation skills, client intake, and forms of evaluation. This course deals with the conceptual and practical challenges involved with the collection, management and exploration of data for quantitative and qualitative analysis. Students will then use the research techniques to design and implement a research project of their own choice. The class is introduced to various types of research and each student embarks on creating a research project to prove the effectiveness of sound, music, energy, light, color and geometry. Each student then does the research project, collates the information, puts it into standard research data form, and presents it to the class. Pythagoras defined geometry as the study of the relationships between objects in space. Math gives a way to precisely describe those relationships. In this course, students will learn the mathematical ratios that define the geometrical relationships found in all aspects of the material world. A study of the physical properties and processes related to the production of sound. Introduction to the physical properties of pitch, frequency, periodicity, loudness, envelope and timbre. The physics of motion, vibration, waves and sound including the mathematical and psychoacoustic basis of sound. The structure and function of the human ear and how it detects and processes sounds. How the different types of musical instruments produce the sounds that they do and the similarities and differences among them. Aspects of room acoustics, including loudness, reflection and absorption. The mechanism that creates various sounds in the human voice. The course will include the study of both sacred and secular music in all genres, stressing the origin and evolution of musical forms and musical styles and the important composers from each of the time periods from Antiquity and the Middle Ages, through the Renaissance and the Baroque periods to present day. Students will experience the music that led to the Classical, Romantic, and Modern eras. The course will place a strong emphasis on listening to and identifying various styles of music. The students’ critical perceptions and articulate responses to readings, and especially to music, will be eagerly sought. This course continues exploring the full perspective of everything going on of the field of Sound Healing and Sound Therapy. Students learn about more frameworks for the explanation of consciousness, and how sound, music and energy can be used within those systems for healing and expansion of consciousness and awareness. We explore Native American traditions, and have students research information of various consciousness frameworks. Students develop ideal treatment plans for people with various types of emotional and physical issues including anger and grief. The class continues with the use of sound as a personal tool for your own creative development. We go further into exploring your sound landscape and consciousness with the voice and other sound healing instruments. With sound we explore past life regression, pineal gland, shadow and sub personalities, body systems, Siddhi power centers, cranial sacral work, tantric breathing, and mudras (hand movements). This class provides for the continuation of developing awareness in regards to components of music, and our subjective (and shared) experiences of these components’ qualities. Students learn from various class time interactivities, exercises, and sharing of individual projects. We also explore the intersection of music theory and wellness. This class gives students usable sound techniques that they can take out into their own practices. In this third semester, we are going deeper into the essence of sound by studying the Sanskrit alphabet and studying phonons, phonemes and the importance of grammar to a spiritual practice. We also are looking into the ancient mystery schools’ maps of consciousness. The students are expected to practice some of the techniques that we learn from each class. There is interaction with them to share their experiences of these practices. Students use feng shui to create sound healing treatment rooms that best support the desired changes in consciousness. Richard will share his translation of the often-enigmatic feng shui rules into a set of common-sense principles of good design, based on the laws of Nature. Students will understand how to optimize the flow of life energy into and through any space to make clients most receptive to treatments. In the second section of the course students will explore cosmological mandala images. Understand how these mandalas reveal the cosmic realities and archetypal forces of creation that lie behind the material world. Learn about the symbolic meaning of the patterns, shapes and colors used in sacred art. It is said that good and proper assessment is the mark of a good practitioner, regardless of the medical discipline practiced. This courses objective is to teach simple Chinese Medicine diagnostic techniques so that a proper treatment plan can be put together for a patient, using the meridians and acu-points learned in the beginning class, incorporating not only acupressure, but also medical qi gong and any sound therapy techniques learned. Upon completion students will be able to assess and put together a treatment plan and execute a full treatment. This class exposes students to a variety of conceptual frameworks, sound healing techniques, and unique personalities. A wide range of lecturers will join us. In the past we have had Judy Cole, Kelly Elliott, Vicki Dodd, Dr. Jeffrey Thompson, Don Estes, Dr. Fred Bell, Jill Purce, Manfred Clynes, and William A. Mathieu to name a few. This class sometimes includes presentations from our annual Sound Healing Conference. This course is a general introduction to the principles of writing with emphasis on writing process, thesis, context, purpose and audience. It prepares students to produce clear, well-developed, well-organized, grammatically correct writing. Students will receive guided practice in drafting, revising, and editing. Students will develop the skills needed to interpret and analyze published texts. In addition to readings assigned in class, students will respond to texts they locate themselves through research and write at least one essay. This course is an introduction to basic concepts of statistical analysis including organization and display of data. We focus on analysis of data as the mean or average, dispersion, and asymmetry. The relationship of probability to statistics is also discussed, providing students with the tools they need to understand how “chance” plays a role in statistical analysis. This class will help students critically analyze the world from a sociological perspective. The major theories and methodologies used by sociologists to understand the social world will be examined and applied. Introduction to the sociological perspective, theory, research, methods of analysis, contemporary issues in historical and cross-cultural contexts. Covers social and cultural aspects of the emergence, maintenance, modification, and adjustment of human groups, deviance, inequality, family, gender, social change, and collective behavior. This class teaches anatomy and physiology. The primary focus is on traditional Western Medical Science. One of the ten classes teaches distinct principles of anatomy and physiology from Integrated Health disciplines that are sanctioned by the United States Department of Education, specifically Naturopathy and Oriental Medicine. The class is also an introduction to basic concepts of biology and biochemistry (cell theory, cell structure, cell metabolism, and cell reproduction), detailed study of the gross anatomy, and physiology of each body system within the human organism. Emphasis is placed on homeostatic mechanisms as they relate to health and disease. This course continues exploring the full perspective of everything going on in the field of Sound Healing and Sound Therapy. Students learn about even more frameworks for the explanation of consciousness, and how sound, music and energy can be used within those systems for healing and expansion of consciousness and awareness including childhood development. Students explore creating a curriculum outline for teaching children and adults sound healing. Students develop ideal treatment plans for people with various types of emotional and physical issues including autism, ADD/ADHD, schizophrenia, cancer, Parkinson’s and PTSD. We continue with the objective of this class to give the students usable sound techniques that they can take out into their own practices. In this fourth semester, we work with different scents and essential oils synchronized with the chants. We also explore more Native American traditions and chants. We also study the practices of Kundalini Yoga with sound. The students are expected to practice some of the techniques that we learn from each class. There is interaction with students to share their experiences of these practices. This class will provide you with the knowledge and skills to be able to use basic computer programs such as Microsoft Excel, Microsoft Word, Computer Basics and Troubleshooting, Adobe Photoshop, Adobe Illustrator, Final Cut Pro Web design programs – in order to create marketing materials for your career, and to manage your finances and creative endeavors. The class covers how to create resumes, marketing flyers, websites and videos. The class also covers interviewing skills for obtaining a job. This class exposes students to a variety of conceptual frameworks, sound healing techniques, and unique personalities. A wide range of lecturers will join us. In the past we have had Judy Cole, Kelly Elliott, Vicki Dodd, Dr. Jeffrey Thompson, Don Estes, Dr. Fred Bell, Jill Purce, Manfred Clynes, and William A. Mathieu to name a few. Students are required to write a paragraph on what they learned from each class. This class sometimes includes the presentations at our annual Sound Healing Conference. Real world experience in a facility assisting doing Sound Healing or Therapy. Practice various sound healing techniques in a real world business. Learn how a sound healing practice fits in or might fit into a therapeutic practice. Develop contacts in the field. Possibly obtain a job in the facility. This course takes students through an overview of the wonderful world of business mathematics. This course deals with the application of elementary mathematics to various areas of business and retail mathematics. Basic mathematics is applied to the problems of business. Topics studied include application of percentage, budgets, cash and trade discounts, markup, interest calculations, and business graphs. The course includes the study of both sacred and secular music in all genres, stressing the origin and evolution of musical forms and musical styles and the important composers from each of the time periods from Antiquity and the Middle Ages, through the Renaissance and the Baroque periods to present day. Students will experience the music that led to the Classical, Romantic, and Modern eras. The course will place a strong emphasis on listening to and identifying various styles of music. The students’ critical perceptions and articulate responses to readings, and especially to music, will be eagerly sought.